Activated by changing the "Enviroment Effect" in Messiaen's/Skelux' OBJ Importer. This environmental effect causes flowers to appear. Oddly, this unused flower was found in the graphics of Lethal Lava Land. Does not interact with Mario in any way, except for the spawn point radius where they're shown. They keep attached to a horizontal solid surface in the level. 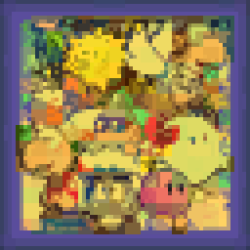 There's also this unused cactus graphic in Shifting Sand Land's data, but at least this one makes sense. Tim Schafer appears in the credits of Star Wars: Shadows of the Empire and Star Wars Episode I: Racer under "Never actively tried to sabotage the project". 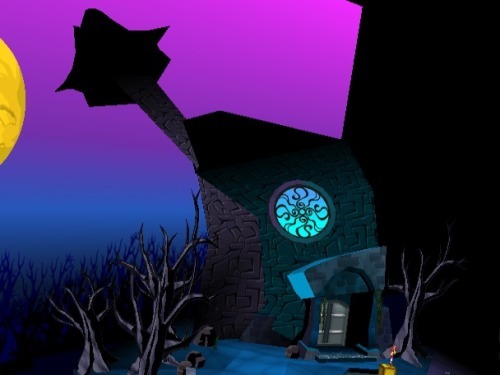 Unagi has no animation for leaving the sunken ship in Jolly Roger Bay's first mission. No matter how long you stay near him, he will remain in the ship until you've swam a great enough distance away, at which point he'll teleport outside of it. You can see this for yourself by manipulating the camera to face behind Mario as he swims. ^I remember doing this one myself because I was curious how far away I had to get before he left. It's kinda strange that they didn't bother animating that, since he has an animation for leaving his nest in a later star. What I wanna know is if it's possible to get him out of the ship without smacking into him & taking damage. [QUOTE="CaptHayfever, post: 1605663, member: 25169"]What I wanna know is if it's possible to get him out of the ship without smacking into him & taking damage. Yeah, you just have to get in front of him and then swim away. 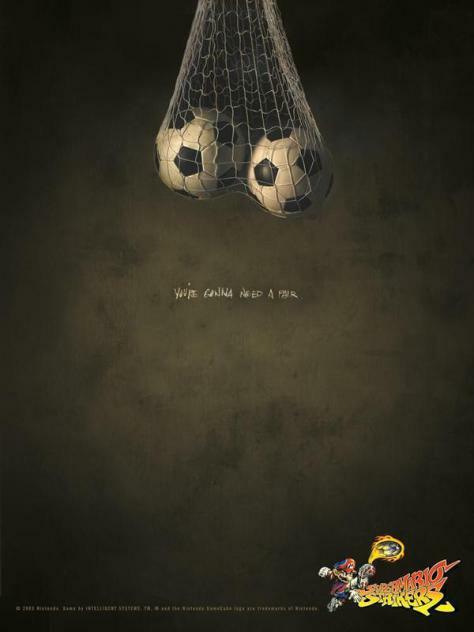 This was a promotional poster for Super Mario Strikers that Nintendo decided against using for some reason. Seems like an ad they'd use during the N64 era. 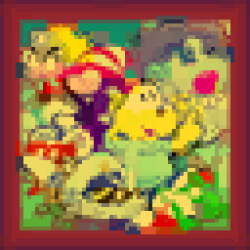 The Munchers that appear in the Piranha Plant levels of SMB3's Pipe Land are actually just animated tiles, and their animation continues playing even when the game is paused (like ? Blocks, for example). You can abuse this to cheese your way through the levels. 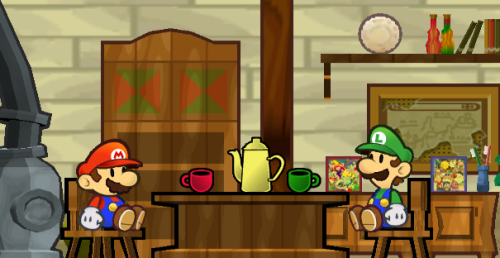 In the intro to Super Paper Mario, you can see framed pictures of Mario's partners from the previous two PM games in the background of his house. ^ I knew that one and I love it so much. 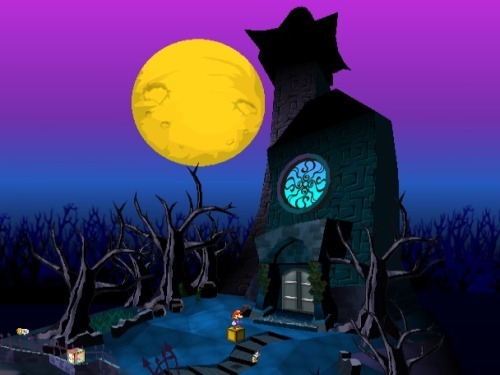 The Creepy Steeple in Paper Mario: The Thousand-Year Door uses forced perspective to appear more imposing. Super Mario Bros 3 got its name from being the third title in the Super Mario Bros series. In Star Wars: Rogue Squadron, you can unlock a Naboo Starfighter from The Phantom Menace by entering "HALIFAX?" and "!YNGWIE!" in the code menu. Rogue Squadron was released six months before Episode I hit theaters, so the password was kept a secret from consumers and even most of the developers until after the movie was released. ^I'm totally lost on the significance of those codes. Maybe I've just forgotten even more than I thought I had about Episode I, but Halifax and what is apparently a Swedish first name aren't ringing any bells. I don't know what their significance is either, but apparently !YNGWIE! comes from Yngwie Malmsteen. Nevermind, I was somehow forgetting what Rogue Squadron was and thinking you were talking about an Episode I game where those passwords specifically had to be kept secret from everyone. Makes more sense that they wanted to hide the Naboo ship. In the Japanese version of A Link to the Past, the Magic Hammer is called the "M.C. Hammer". According to the 1993 Nintendo Character Guide, Mario's favorite music genres are opera and "new-wave, high-techno Euro pop".